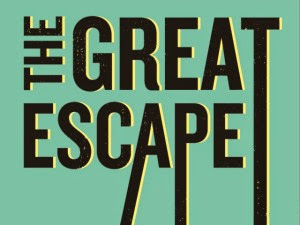 Battling the winds and late running schedules on day one and day two of Brighton's premiere new music festival, The Great Escape, could have broken us. But we were not to be defeated, returning for more exciting new acts including Honours and Fickle Friends, as well as more established fare such as Charli XCX. Despite the best efforts of engineering works to thwart our plans, we manage to make it to the Prince Albert in time for self-confessed alt-poppers Honours, whose melodramatic offerings soar in the intimate environment. Soon after, we unexpectedly find ourselves watching the genre-hopping Storyland - always nice to see local youngsters supported by festivals. As their set goes on, the crowd grows larger, and it's fair to say that most appreciate the band's "utterly butterly summertime fun". BLESSA in the Komedia is our next stop, essentially downstairs from the aforementioned performance. The Sheffield lot seem uncomfortable, struggling initially, although finish off in much stronger fashion with their lo-fi female-fronted indie pop. Over at The Mesmerist, Fickle Friends are in a more confident mood - and their brand of free-flowing pop is well suited to the packed pub. The only downside being that it is ludicrously busy. Racing Glaciers follow, and thankfully the pub has emptied out somewhat. It's less good for the band but they nonetheless perform suitably well to the remaining punters. We're certainly satisfied, and the free drink we pick up as part of the Blog Up showcase probably helps. After a brief break in the pub, where we take on the quiz machine and fail, we catch Years & Years at the tap-water-less Corn Exchange. Their R&B-tinged electro has a certain minimalism to it that doesn't quite succeed in terms of spectacle but there are enough tracks to nod our heads along to, such as the smooth grooves of 'Real'. We race over to the Latest Music Bar to catch Only Girl downstairs, where stage times are running behind - as with many of the Alternative Escape gigs. So we take a seat upstairs and soak in the quiet majesty of Ed Riman's Hilang Child - a real shame more people aren't around to see Ed and his guitarist performing. Only Girl eventually kicks off, Ellen Murphy joined here by a live band. And a cup of hot water. Which seems to do the trick as she belts out her ballads. Unfortunately her late running means that we have to leave after a handful of songs. It's a decision we don't regret as a sassy Charli XCX storms the Corn Exchange. With just half an hour to deliver the goods, she eschews plenty of earlier material but new stuff like the anthemic 'Boom Clap' delights the receptive audience. We consider going on to another band, but it's not likely they'll trump the euphoria of Charli XCX's performance so we finish off our festival on a high. We've been to The Great Escape for a number of years now, including its first iteration, and 2014 has been a strong edition. The usual complaints of late running stages (mainly Alternative Escape shows) and overly chatty audiences are there but the array of music is excellent - living up to its billing as Europe's leading festival for new music. And all for less than £50.